The activity of Halloween has been going on for about three hours so far. The count for trick or treaters is standing at less than 30. I should know that this is the number I should plan for by now but I always over anticipate the numbers of kids that will show up. I think I would like it if more came – little kids anyway. They are cute and creative and having fun. This is Kieran. 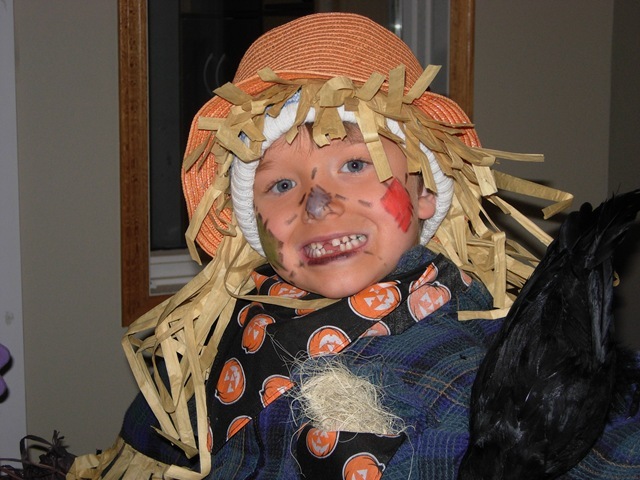 A scarecrow. However by the crow perched on his shoulder I’m not sure how effective he has been at scaring away the birds. 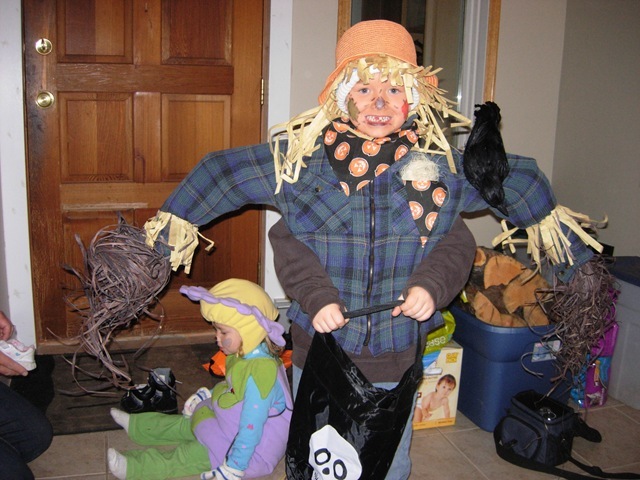 But the costume won him the first prize for costumes in Grade one at his school. He was pretty proud of that. The missing teeth are very authentic – three gone so far. 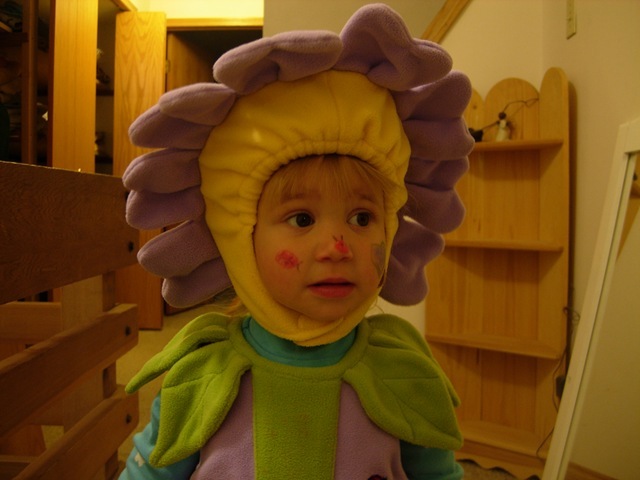 And Nea is a pretty cute flower too, don’t you think? And the other grandkids should be by sometime tonight. So there may be more pictures later. wow Kieran’s costume is pretty cool! Both of them looked really good!